As part of the @TheGBSBLive event at Excel in September I am so excited and honored to have been asked to run workshops at the show. As many of you know, I am a big fan of applique and will try and pop some applique on to most of my designs when possible! 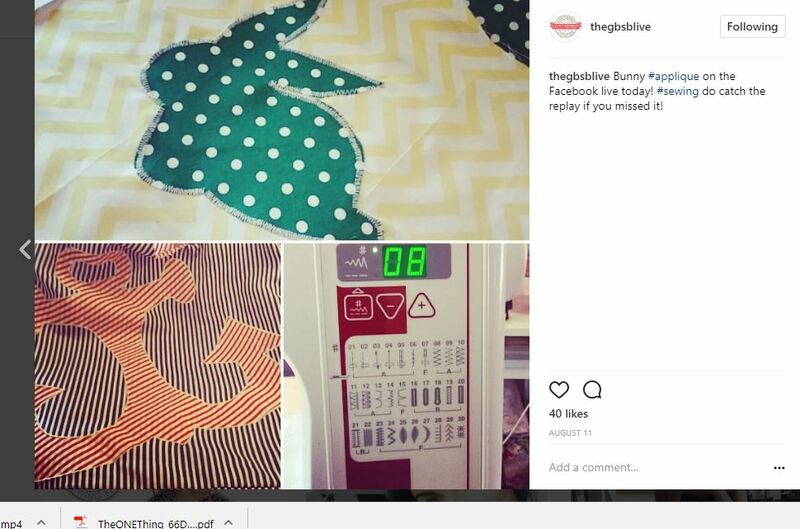 Join me in the video below as we go on a little journey into applique and watch as I create a little applique bird live on Facebook for @theGBSBLive! Next post: #sewingtour Scotland, a Holiday in Crete then more sewing in Stockton!